If you are regularly working outside with a construction helmet, this cooler is a good choice to cool your head in the warm and hot days. The cooler is attached with velcro to the construction helmet. The construction helmet is not included. This cooler uses, as all HyperKewl cooling products, an evaporation technique. The cooler will cool your head well ! To activate the cooling product, simply soak it for 2-3 minutes in water and gently remove access water. 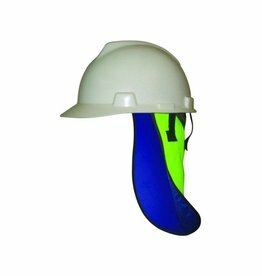 The cooler attaches hook and loop to a hard hat (not included) and will cool your head for 5-10 hours. It cools by a evaporation technique and can be re-used easily. The cooling product is lightweight and durable. This product can be washed at max. 60 degrees. 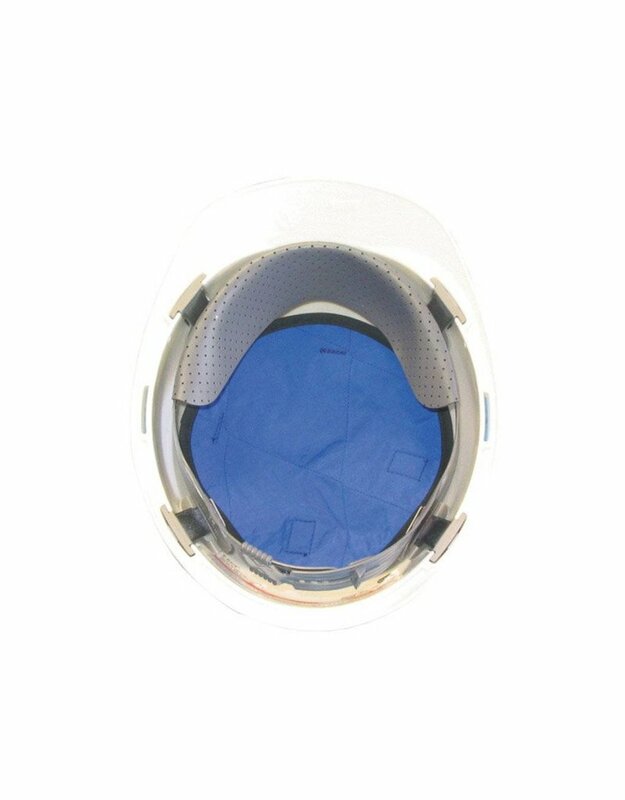 Protect your head and your neck from dangerous heat and sun with HyperKewl™ Evaporative Cooling Fabric technology. Washable at max. 60 degrees.